August 1st is World Lung Cancer Day and in recognition of the research leading the way to understanding, educating, treating and eventually curing one of the most common types of cancer, we take a look at Scopus to see what content we can find (click on the images to expand). 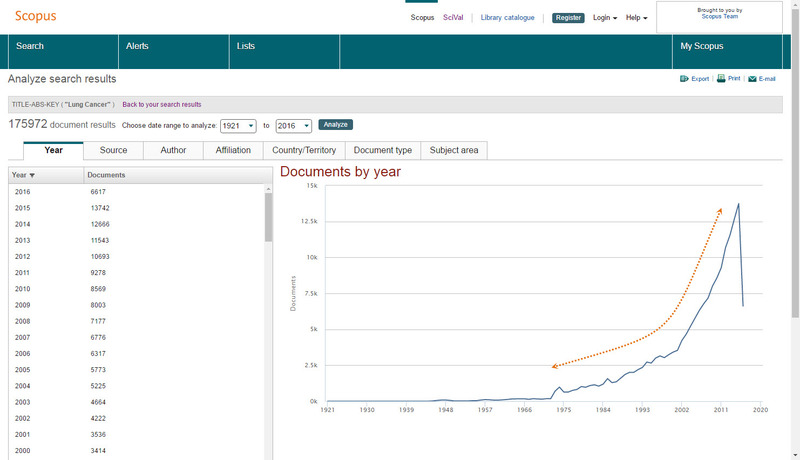 A basic search in Scopus for “Lung Cancer” returns close to 176,000 results dating from 1921 to 2016. To better understand our results, we clicked on <Analyze search results>. This opens an interactive way of delving further into our results, for example, looking at the <Documents by year> tab shows a steady growth in publications over the past 50 years, and a greater spike in the last 15 years. Switching over to the <Affiliation> tab, we can also see that the University of Texas M. D. Anderson Cancer Center and the National Cancer Institute, have the most output relating to our search. 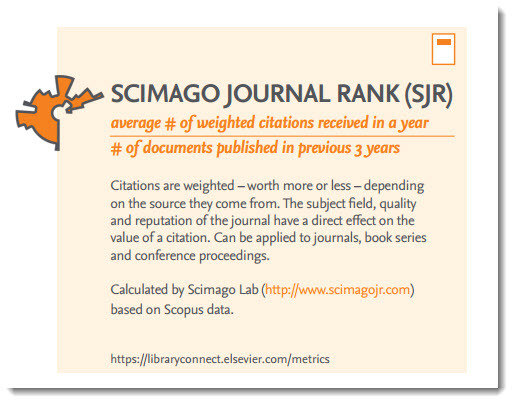 The data behind your Scopus Author Profile informs the outward view of your scholarly information—total number of citations, publication history, h-index—not only in Scopus itself, but across other entities supported by Scopus data. These measures may play a factor in tenure, funding or in other decisions; therefore, it is important to ensure your profile reflects your information correctly. 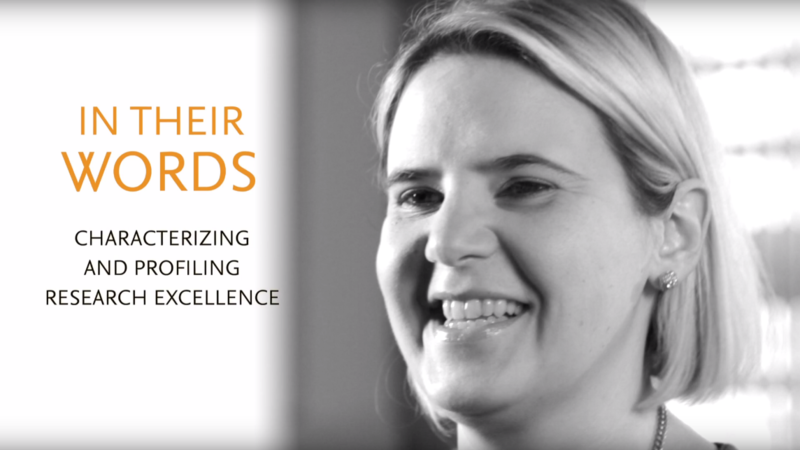 Despite the sophistication of the algorithmic profiling used by Scopus, algorithms cannot always match all documents to a single profile with 100% accuracy. So, in Scopus, what’s the best way to ensure you get credit where credit is due? Check your Scopus Author profile and submit your feedback. 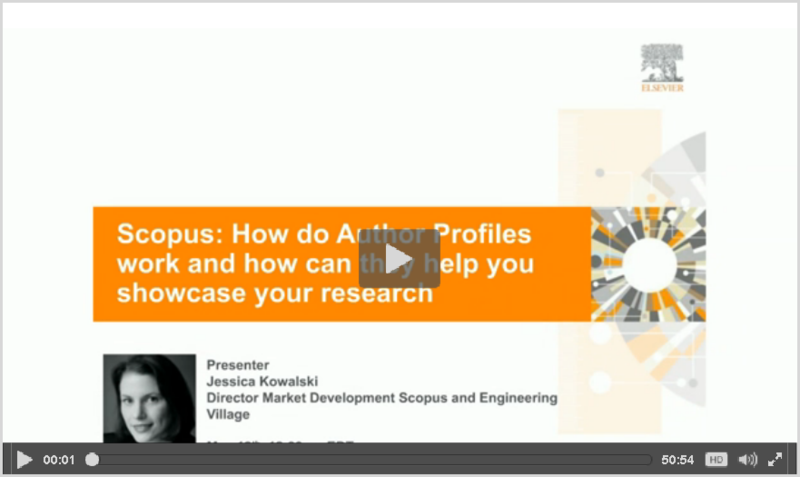 In her recent webinar, Jessica Kowalski covered Scopus algorithmic profiling along with much more about Scopus author profiles in general. Click on the image below and watch minutes 00:18:37‒00:21:00 to learn more details about algorithmic profiling. 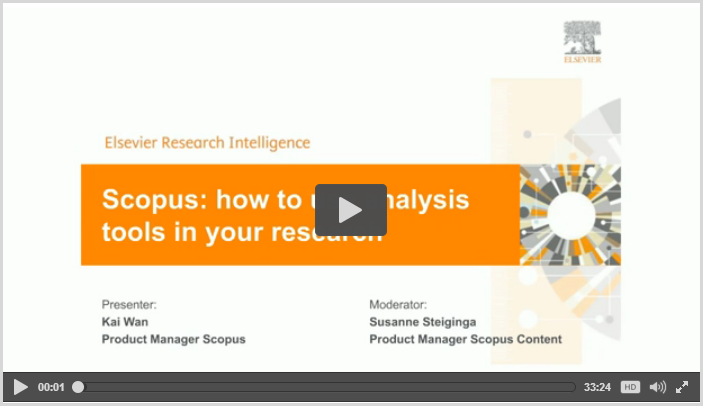 In this Scopus Webinar, Scopus Product Manager, Kai Wan, joined us to share some best practices on how to use Scopus analysis tools in your research. Based on minutes 00:11:03–00:15:18 of his presentation, this tip & trick shares why and how to use the Scopus Citation overview tool. Discover the overall impact of publications in a research area. 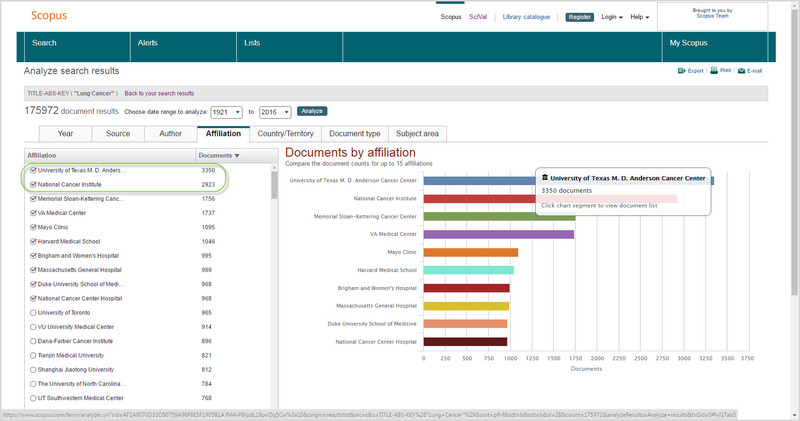 To use the interactive table within Scopus, select no more than 2,000 items at a time. research trends. 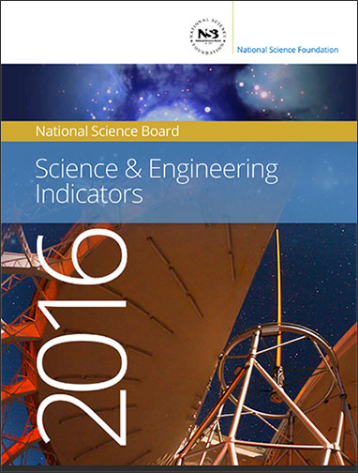 This report is mandated by the US Congress and although it is policy neutral and does not make recommendations, the information and trends revealed help guide policy makers and influence strategic planning and benchmarking for universities and state governments. Almost a year ago we announced the launch of the new Re-evaluation program for Scopus content. 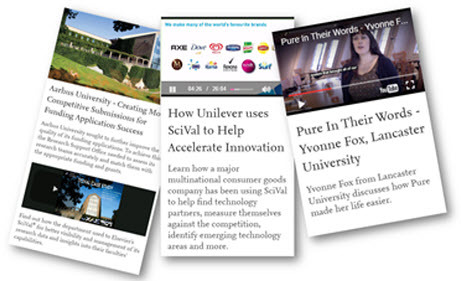 This program was created as an incentive for journals to maintain their high content quality. When a journal is originally suggested for Scopus, it must undergo a rigorous evaluation and selection process to ensure it meets all the high-quality title selection criteria required for acceptance into Scopus. However, journals must also demonstrate the ability to maintain their quality status year over year. An additional focus for the first year of the re-evaluation program was to ensure all journals met the same baseline of quality standards. When Scopus launched in 2004, content originally came from different sources with different levels of evaluation. Over time, evaluation criteria for new titles has evolved to become stricter and standardized. A few weeks ago, we posted on the importance of A/B testing and how it allows us to make better data-driven decisions about how to improve Scopus. In part two, we will focus on improvements to Scopus search that will start this coming week. This work will enable us to move forward with improvements to the search experience. For example, due to timing differences during processing, citation count values may appear to be different from (e.g. between search results and citation overview). This asynchronicity will be resolved once the changes are complete. Search results: You might observe slight changes in the number of results returned. Or the ordering of results for the same search at different times (but not during a single session) could be different. Two different users at the same institution, or one person using multiple computers such as at home vs. at work, may see differences in search results.